Wow, what a beauty. 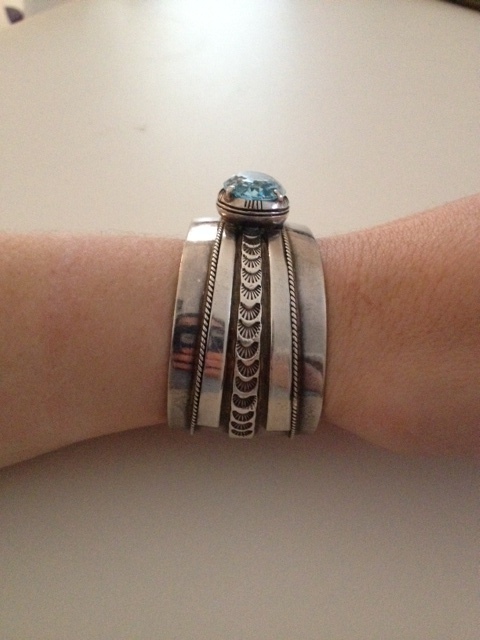 I’m in love with blue so your bracelet dazzles me ! As far as I know there is just one Robert Kelly and he signs his work ROBT. 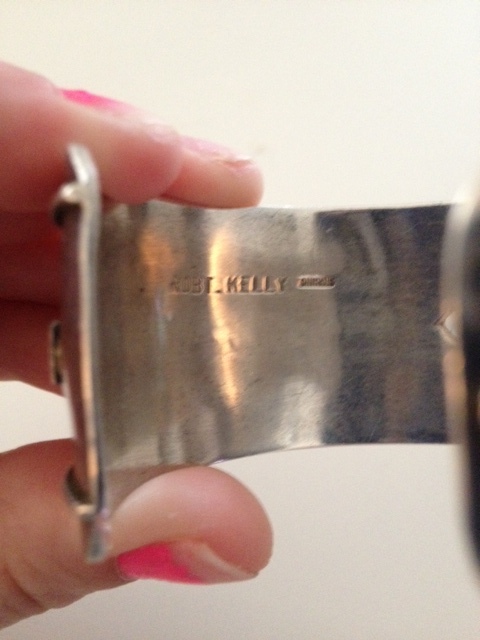 KELLY just like your bracelet and this one in our store are signed. It is not unusual for an artist to create very different looking pieces, in fact, we find that many artists are continually reinventing themselves – both to stay interested and to keep things interesting for their customers. 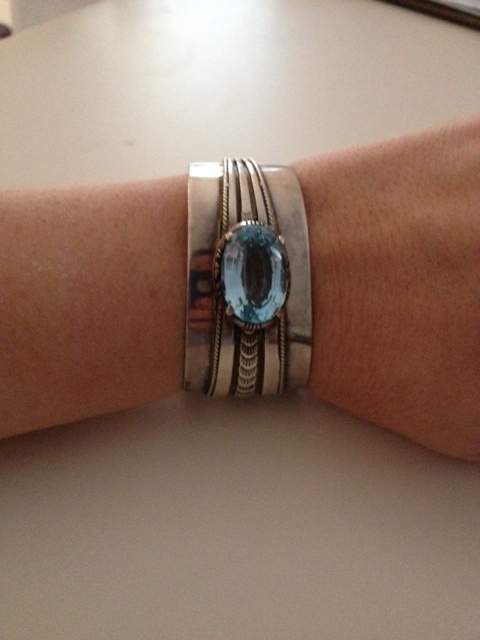 We’ve always loved Robert Kelly’s feather items and that is mainly what we carry including his rings. One final note……some of the hallmark books show a Robert Kelley who signs his name ROBT. KELLEY……..so ???? I’m at a loss on whether this is one and the same person. Enjoy your beautiful inheritance !